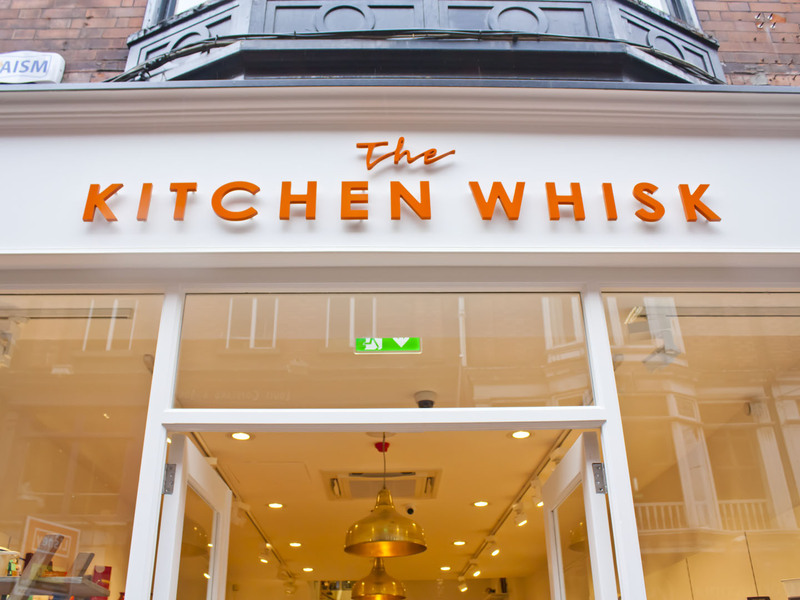 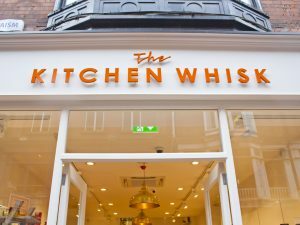 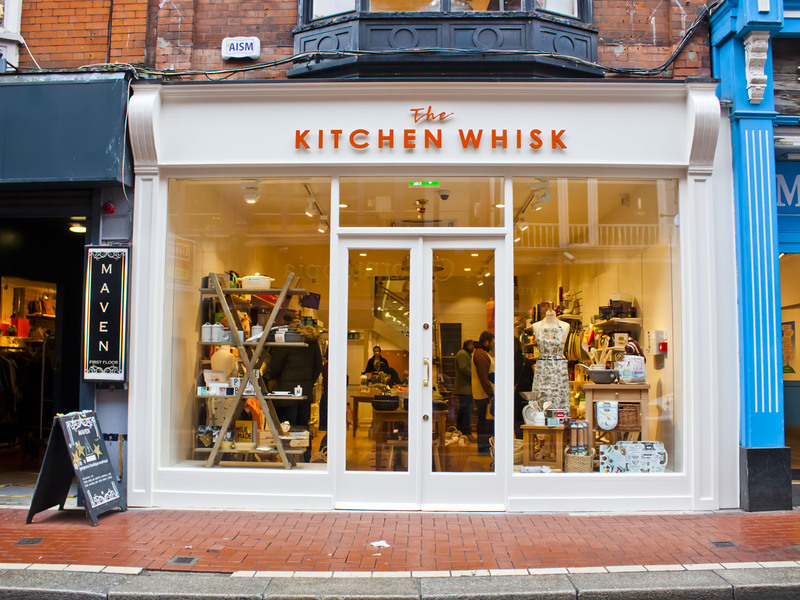 This shop front on Wicklow Street in Dublin for The Kitchen Whisk is a combination of classical style and modern minimal layout. 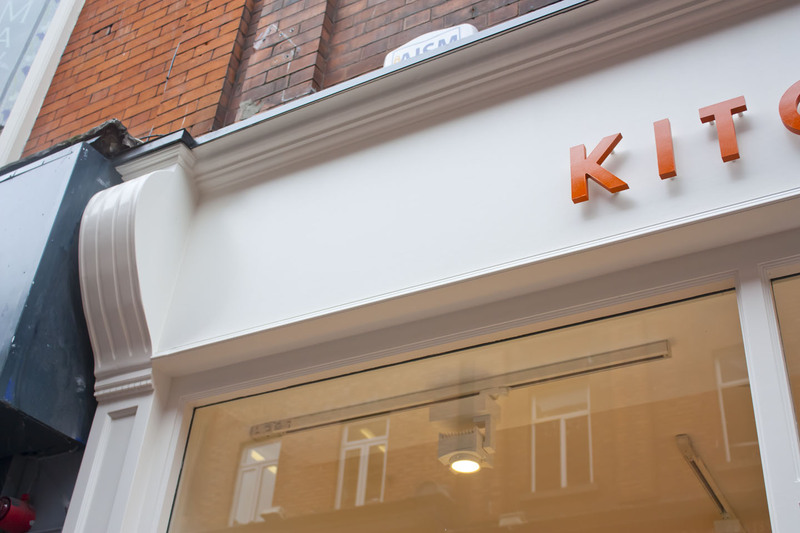 This allows for the maximum light to enter through the shop front and increases the visibility for pedestrians. 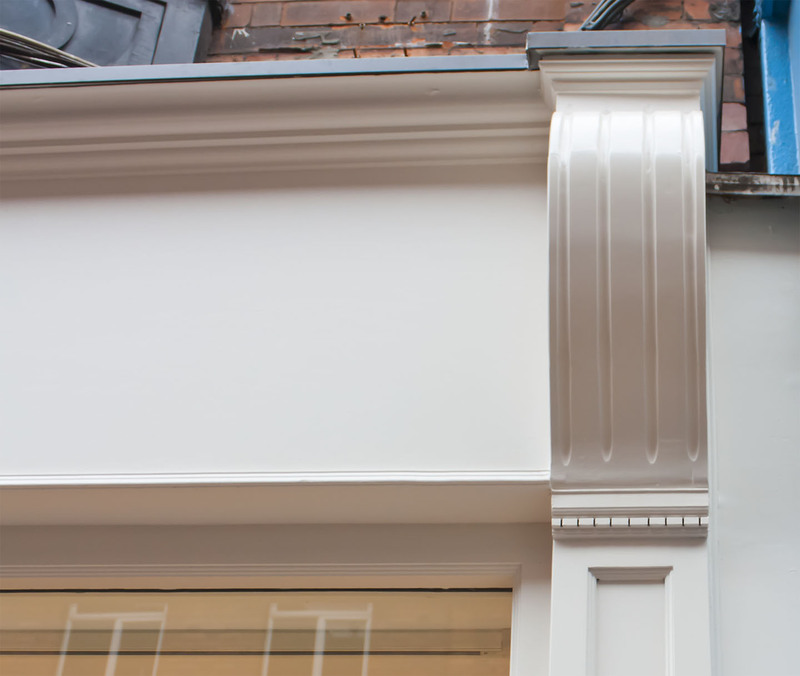 The traditional details on the corbels and mouldings enhance the shop fronts style and complements the high end contents of the shop. 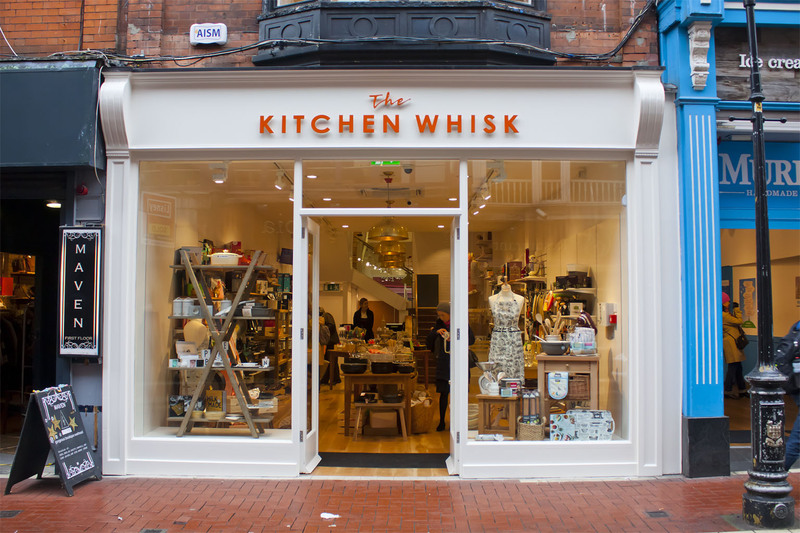 This new hardwood shop front really attracts attention on Wicklow Street and sets itself apart from the surrounding businesses, resulting in increased noticability and customers. 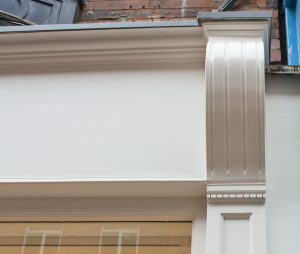 Laurel Bank Joinery Shop Fronts specialises in authentic tradtional moulding profiles and have the facility to replicate more obscure profiles. 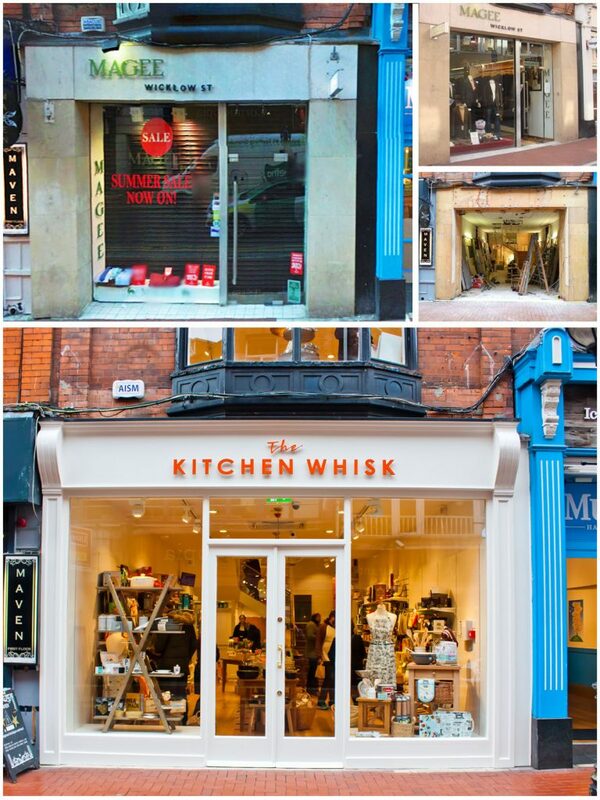 This service is vital where there are preservation restrictions in place and rot has occured preventing complete conservation of all mouldings etc. 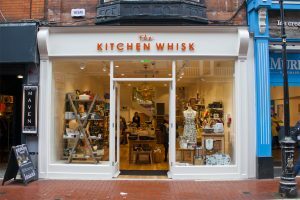 If your shop front needs a facelift or even a complete rethink, we are here to help you maximise your ability to attract customers. 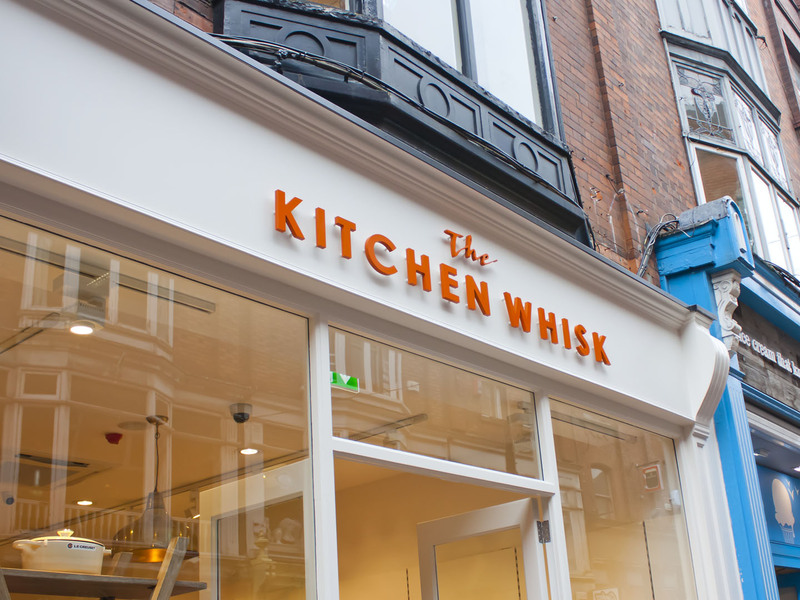 Contact us today for a free on site consultation and quote.